'Is Anybody Listening' is the extraordinary tale of a young girl who is faced with the task of rescuing two friends who are in grave danger before it is too late. The story begins in flashback form. Seventeen year old Laura Byrne is in class feeling very unwell and having an argument with her teacher. She goes home and quickly loses consciousness. Her family find her and Laura is rushed to hospital. As Laura hovers between life and death, her family read her diary and begin to understand what has been happening in her life. Laura Byrne is a perfectly normal, average teenager. She loves photography, has a great family and is a generally happy person. It all changes when she begins to hear voices and images in her head. Someone repeats constantly: 'Sanjid- my name is Sanjid. Is anybody listening?' Laura thinks she is going insane, and does much to resist the voices. Eventually however, she begins to communicate with them, and what she learns is terrifying. Laura has developed a strange telepathic communication to two young children called Sanjid and Rosa. Sanjid is a young boy who works in a carpet factory in Mirzapur, India. He and the other children who work there are treated very cruelly. The man who owns Sanjid and the other chidren in the factory beats them regularly, makes them work almost all day, and feeds them very little. Rosa is a thirteen year old street kid in Rio de Janeiro, Brazil who fears for her life because she witnessed the Candaleria massacre on 23rd July, 1993. She lives in squalour, and every day is a struggle to survive. As Laura learns more about their lives, she realizes the grave danger that they are in and she is prepared to do anything to save Rosa and Sanjid. One of the things I loved about this book is how it blends fiction and non-fiction: Laura Byrne, Sanjid and Rosa are fictional characters, but their lives certainly are not. Thousands of street kids are murdered in Brazil every year, and the Candalaria massacre actually happened. One quote, said by an actual man who has been convicted of murdering street children in Brazil made me gasp with horror: "You have to be cold, look right in their eyes, kill them and smile at them. I've always done it like that". Likewise, there are approximately 158 million child labourers on earth. The book is utterly compelling, from start to finish I couldn't put it down for a moment. It is very well written, in particular the parts where Laura writes in her diary: one gains a real insight into what she was experiencing and her desperate need to save two children from a terrible end. 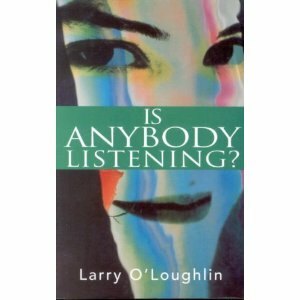 I think the title of the book is very revealing: it is not just the words of Sanjid, begging for Laura to listen to him. but the words of the millions of other children who are in similiar situations to Sanjid and Rosa who need to be heard and who need help. This book is one of the most hard-hitting books I've ever read. After I read it, I literally couldn't speak for around an hour, I was completely stunned by what I'd just read. It really was like being kicked in the stomach- I couldn't believe that such things happen in the world, happen as I write this. I can't recommend the book highly enough, and I'd give it more than five stars if I could. Wow! What a wonderful review .... It on the list! thank you! I had no idea this happened in Brazil! (and July 23rd is my birthday...eek!) It sounds like such a heartbreaking story.